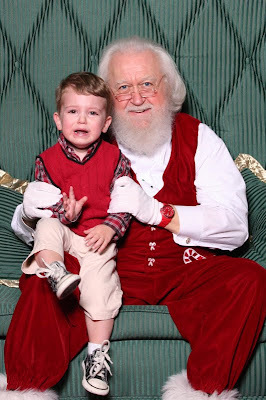 Hoping to avoid a repeat of last year's Santa-fiasco, Ann took Jack on his annual Christmas pilgrimage to visit Santa at North Point Mall. JD was out of town on business, but JJ and Big John were able to attend. Jack was happy and charming while waiting in the long line, patiently posing for Big John's camera and insisting that JJ and Big John take turns holding him. But when we were second in line, performance anxiety set in. 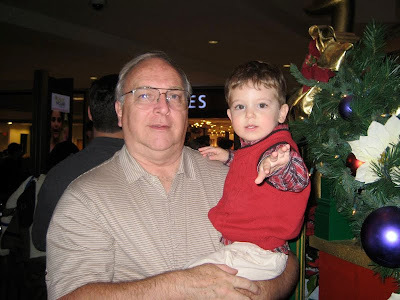 Big John carried him over to Santa's lap for the big moment. 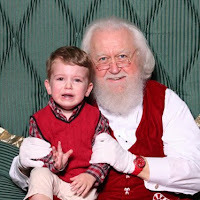 After prying Jack from his arms and depositing him with Santa, the banshee screams began in earnest. 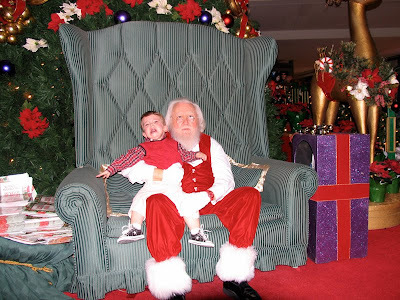 Santa kept him in his lap long enough for 2 pictures, then returned the very upset toddler to his mommy. 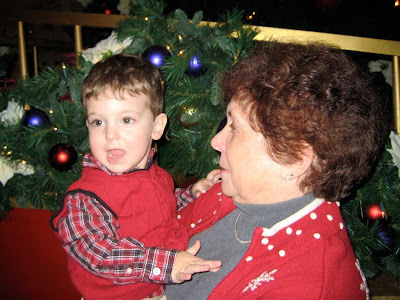 Once back in Ann's arms and a safe distance away from the evil man in red, all was once again well with the world. Oh well...there's always next year!